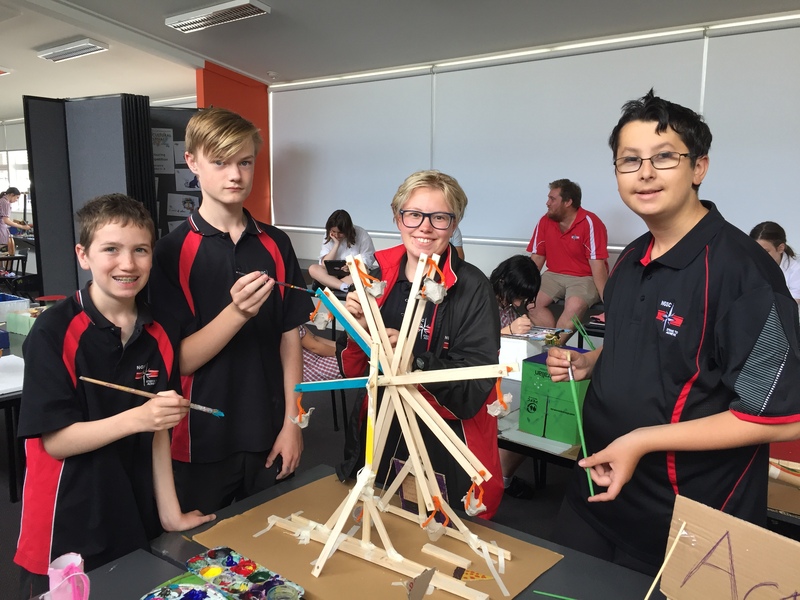 North Geelong Secondary College is aiming to nurture curiosity in Science and Mathematics so we can build students who are independent, self-motivated and resilient learners that have a strong interest in STEM subjects; through the development of skills in reasoning, inquiry and problem solving. 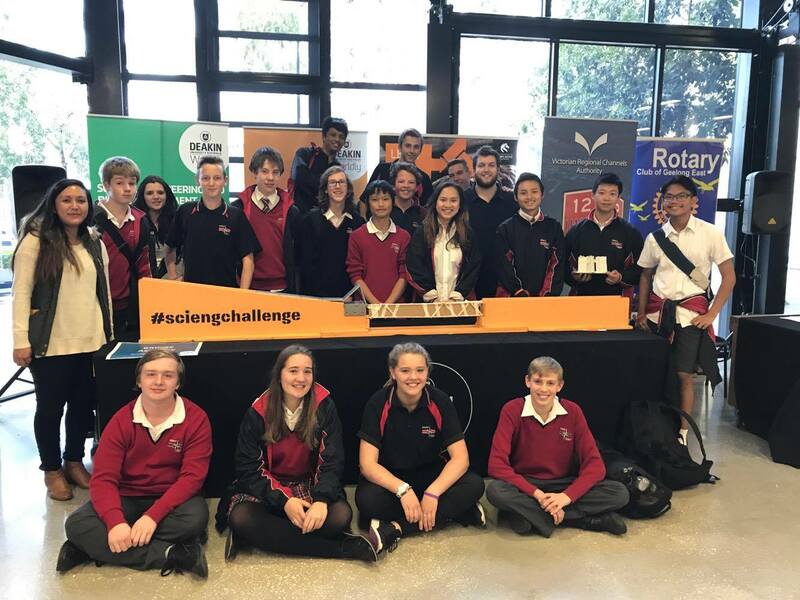 The 2017 Science & Engineering Challenge team. Celebrating student work through displays in the library. Students engaged in the task of building robots. Thank you to the staff at Deakin University for allowing our students to patriciate. 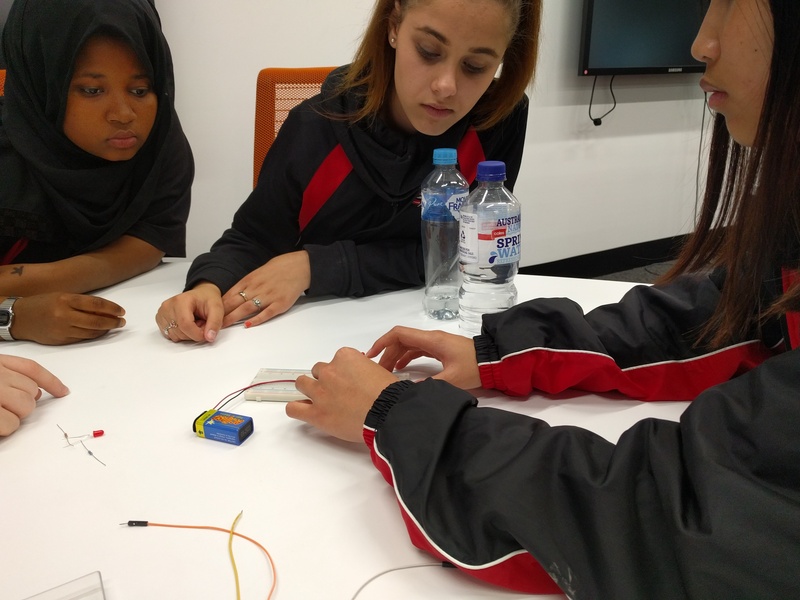 Building circuits helps students connect their learning to STEM related careers. Thank you to the staff at Deakin University for hosting this event. 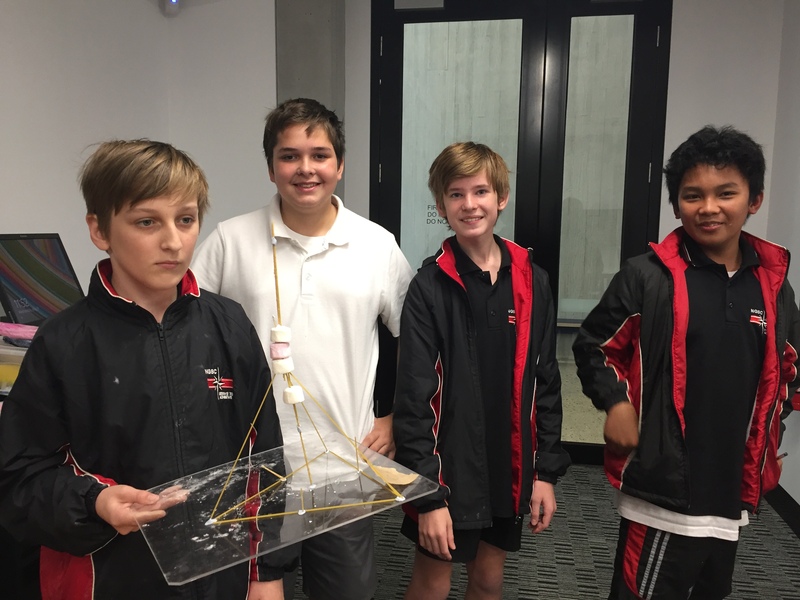 Building Earthquake proof buildings using spaghetti and marshmallows helps students identify engineering aspects of buildings. Thank you to the staff at Deakin University for engaging our students in this event. 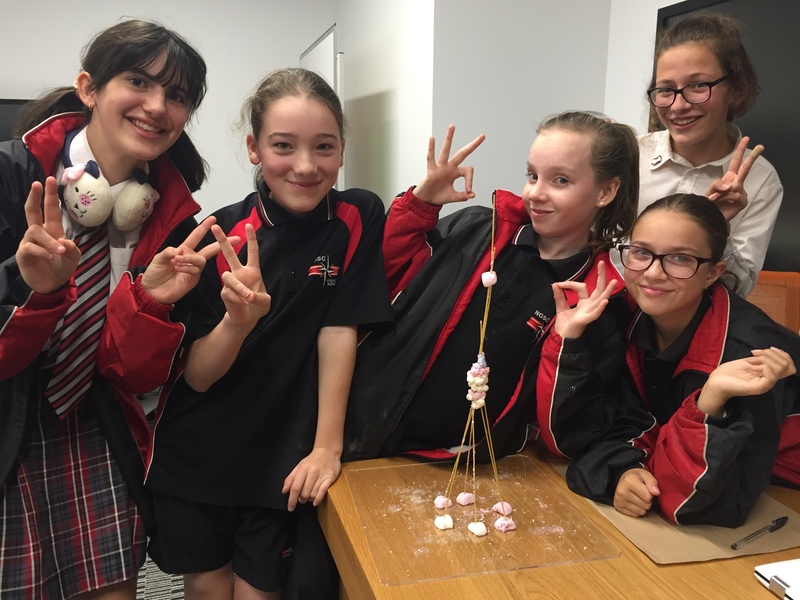 Building Earthquake proof buildings using spaghetti and marshmallows helps students connect social issues with engineering. Thank you to the staff at Deakin University for hosting this event. 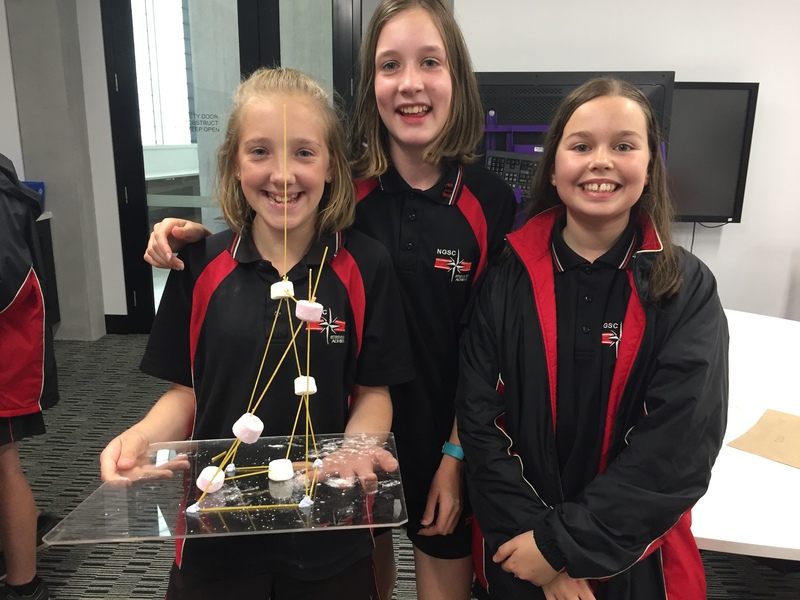 Building Earthquake proof buildings using spaghetti and marshmallows gets students working in teams to solve real life problems. Thank you to the staff at Deakin University for making this event so educational and engaging for the students. 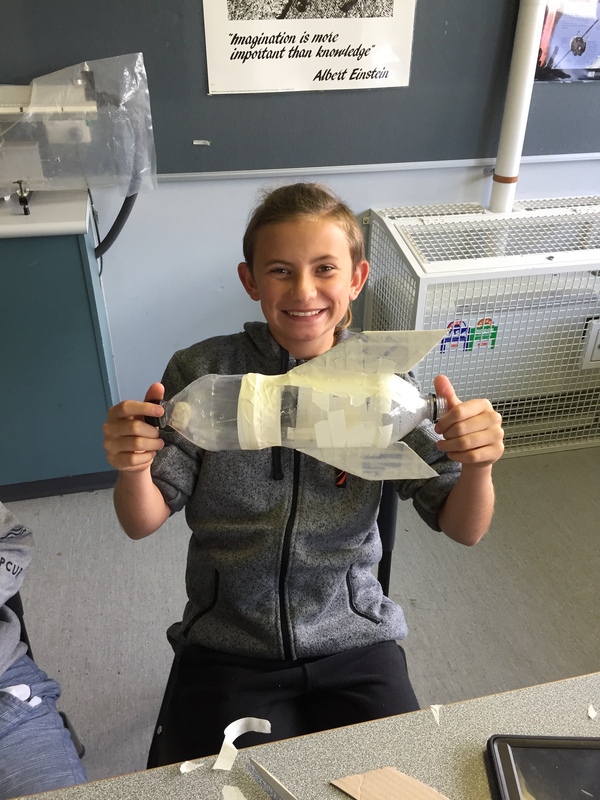 Use of fins in the design help to improve the stability of his rocket. 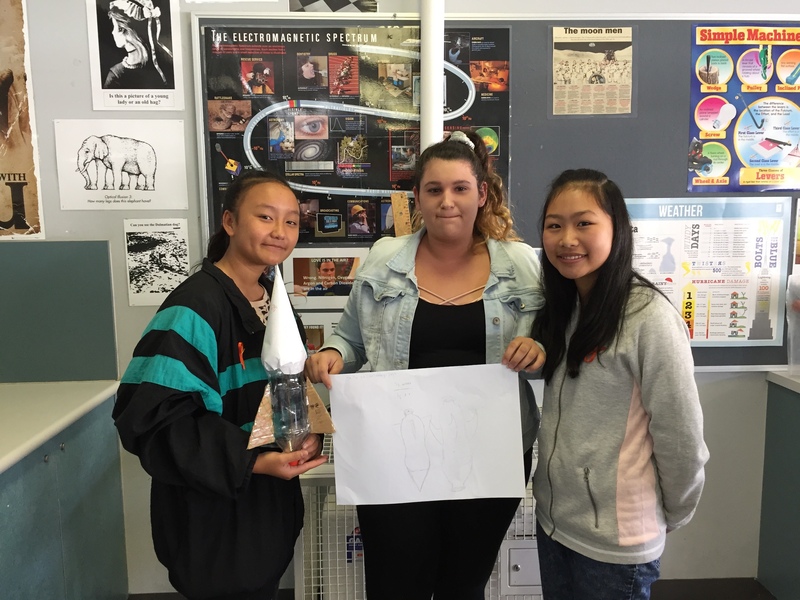 A team shows off their unique bottle rocket design. 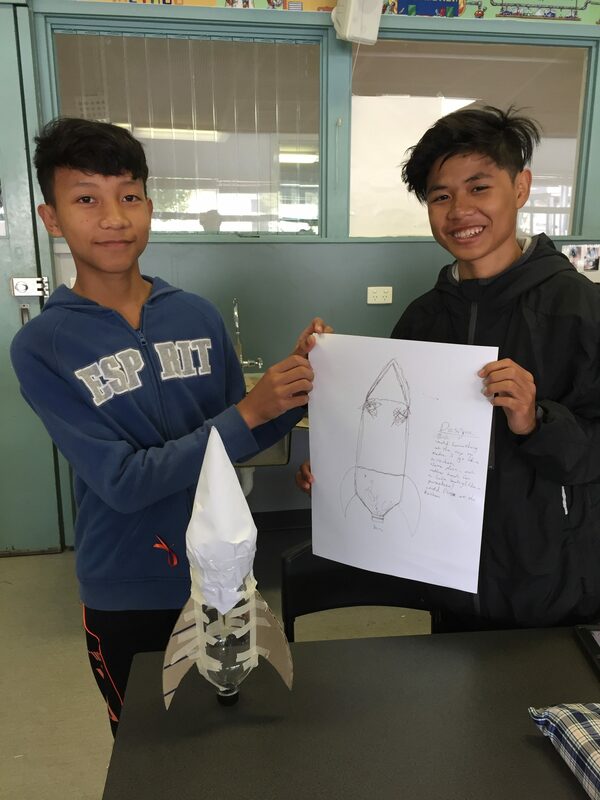 Two students proudly displaying their aerodynamic bottle rocket. Now time to collect some data on flight time. Great teamwork shown when building their bottle rocket. 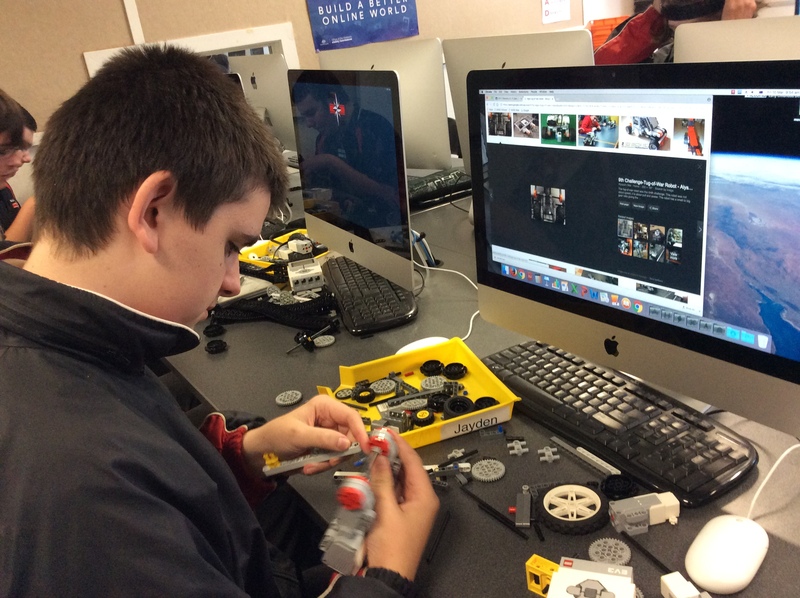 Building a LEGO Mindstorms robot. The Sphero’s are always a bit hit. Using Sphero’s to teach programming. 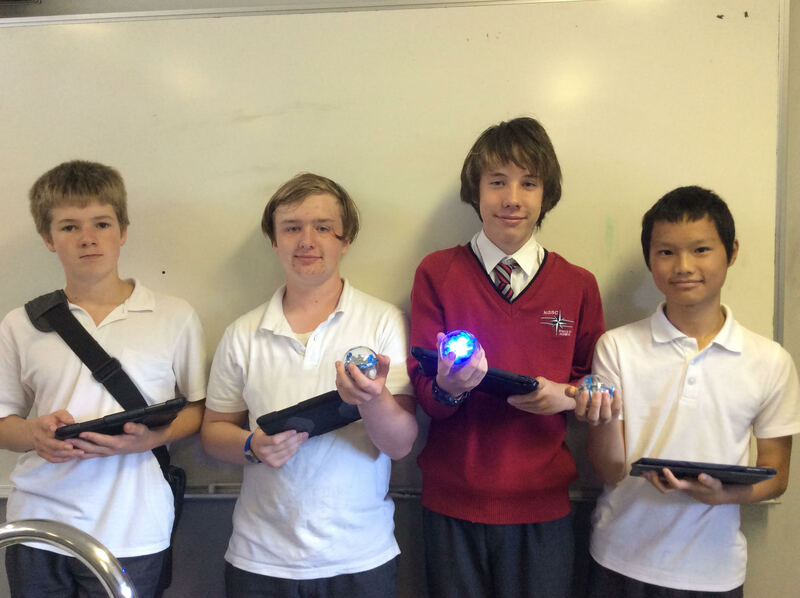 Students involved in programming using Sphero’s. Hands on tasks like making slime helps students understand the theory. Undertaking some materials testing to see how much weight Blu-Tack can hold. 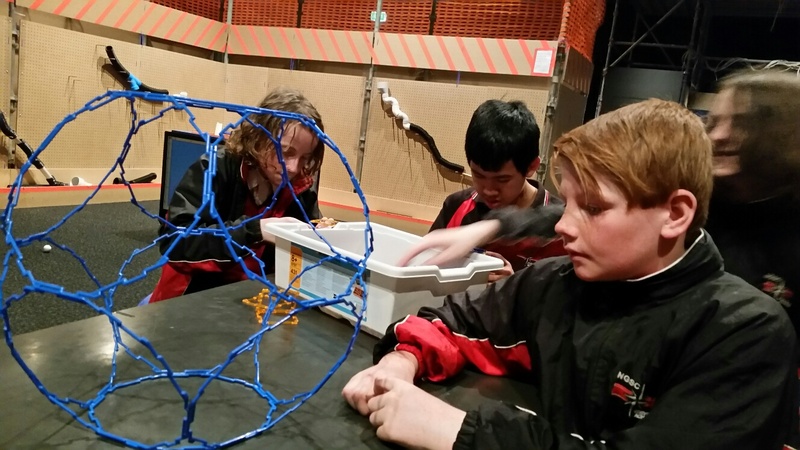 Students engaging in STEM challenges at Science works. Their design is coming together. STEM is an approach to learning and development that integrates the areas of science, technology, engineering and mathematics. Employer demand for STEM qualifications and skills is high and will continue to increase in the future. This means it is important to teach STEM skills as they provide students with the foundation to succeed at school and beyond. 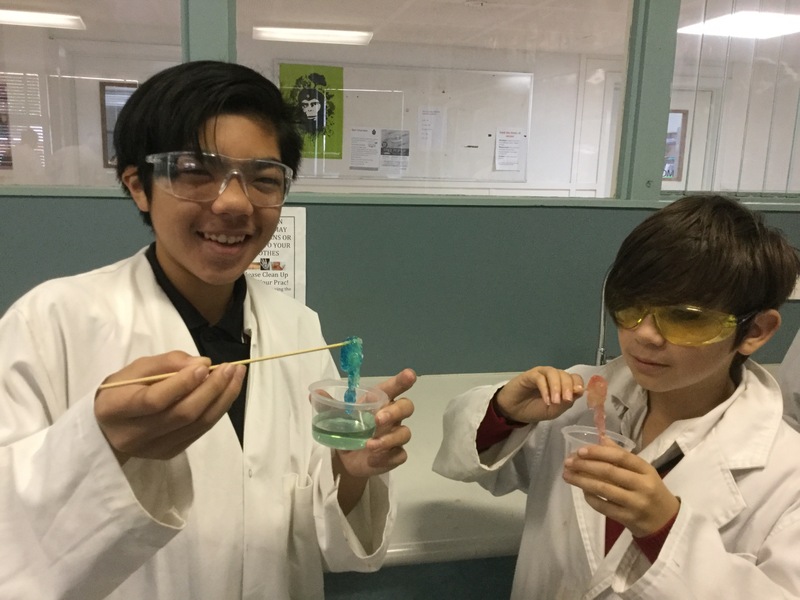 More information can be found HERE about STEM in Victorian schools. 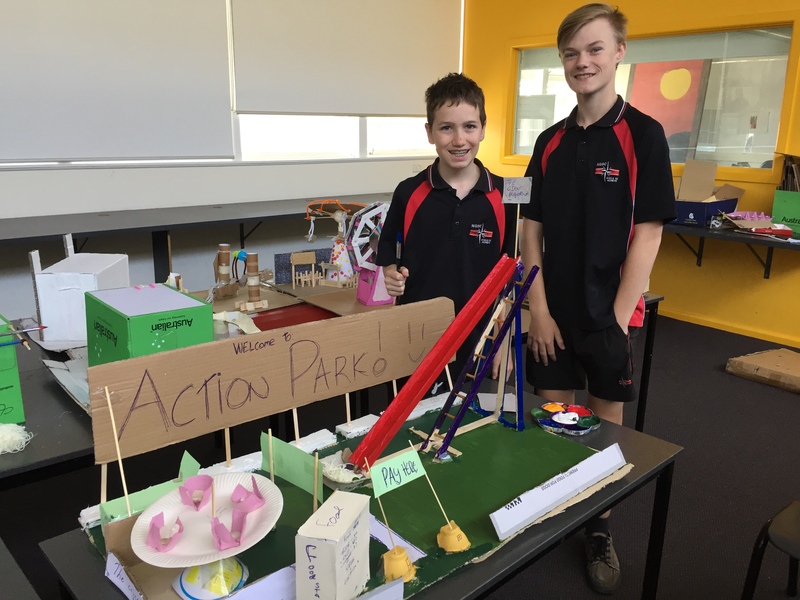 By using stop motion technology students used their creative ideas to produce and film videos outlining the key STEM elements. 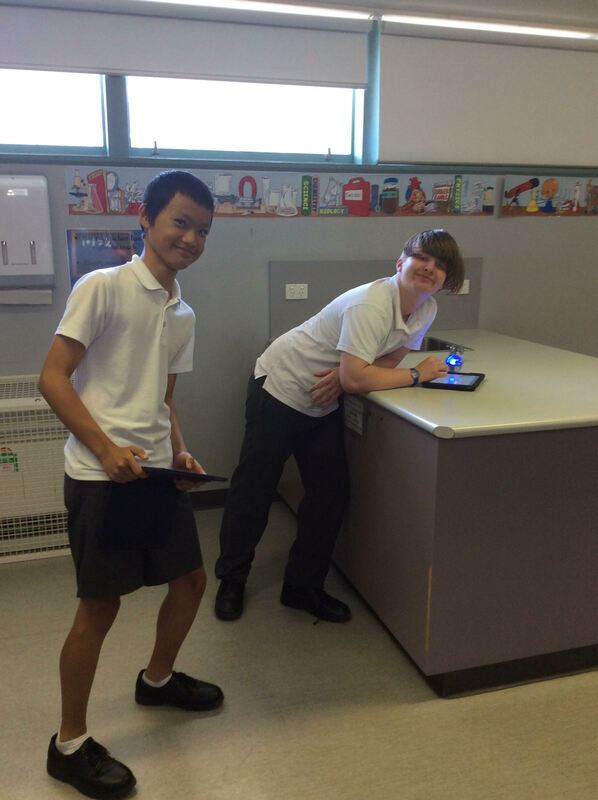 Students in the Year 9 STEM elective worked in teams to produce many fantastic videos one of which is displayed here. To see the other videos, and many other great initiatives at NGSC check out our Facebook page and newsletters. The ability to think through problems will be one of the most important skills students can learn to improve their futures. Tasks are scaffolded to allow students to use their problem-solving skills in safe but challenging situations. Reflection of their learning and techniques used is an important aspect of problem-solving. Topics have some relevance to the real life. They could be linked to STEM industries such as engineering or technology. They could also be aimed at solving real life problems. For example, designing and building a structure to solve the problem of cleaning up oil spills. 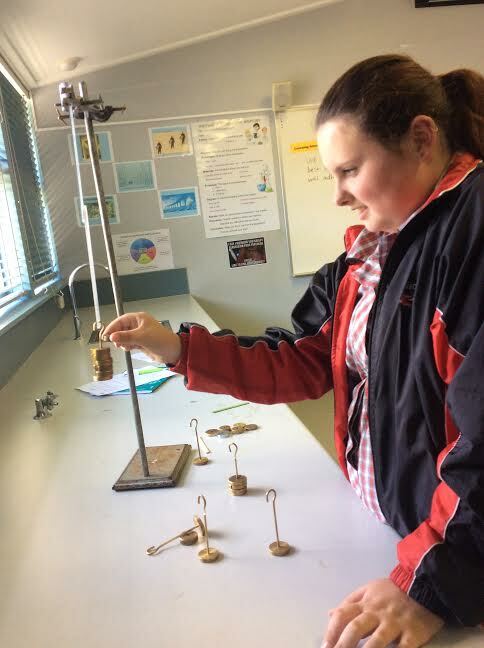 Units meaningfully incorporate multiple STEM subjects. This helps students make connections between content covered in multiple subjects. 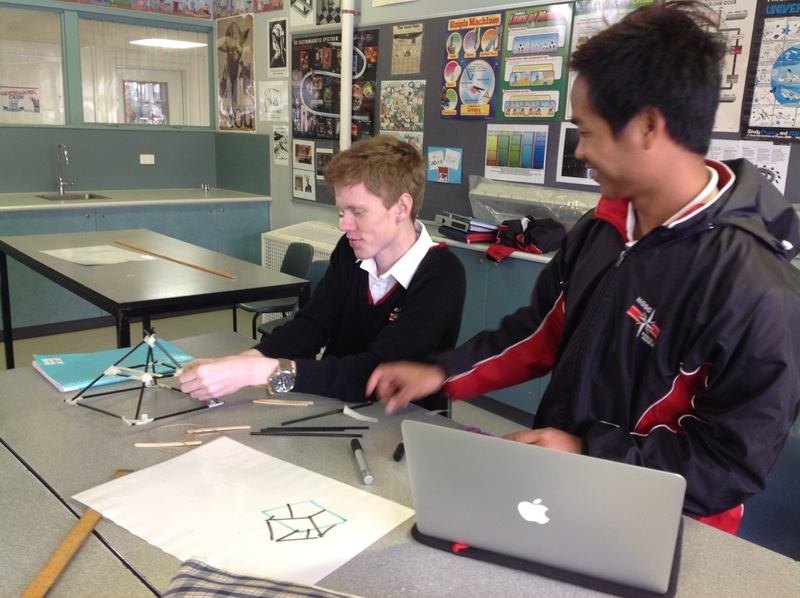 Student are given structured opportunities to work in teams. This will improve important soft skills such as communication, adaptability, conflict resolution and leadership. 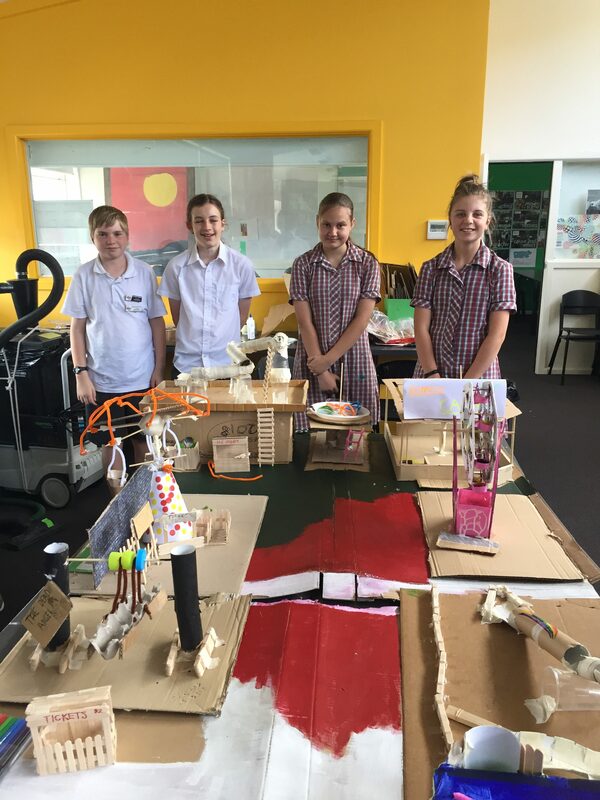 Students are introduced to STEM projects at Year 7 with various short STEM activities. These aim to engage students in problem solving tasks and improve their team work skills. 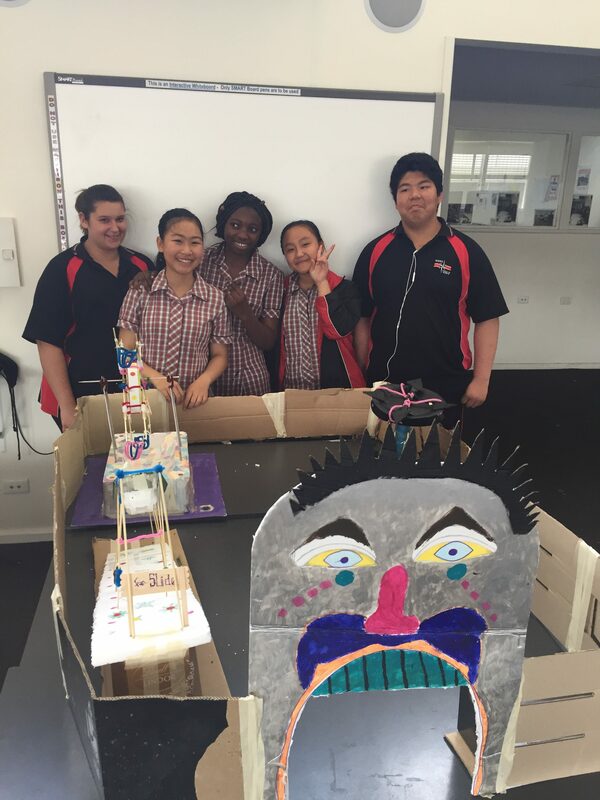 Students in Year 8 complete four major STEM projects throughout the year. 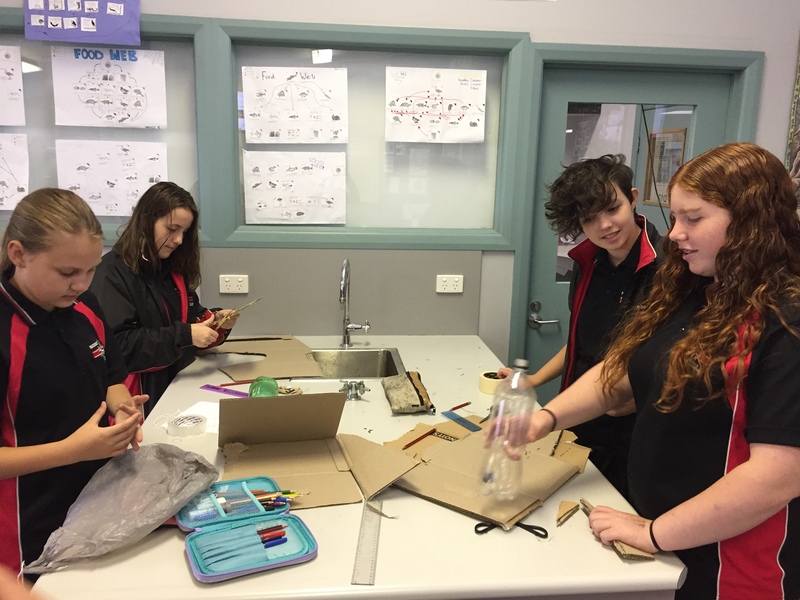 Bottle rocket design: Students design and build a rocket from soft drink container and cardboard. Students then launch their rockets to see which design has the longest flight time. Interactive statistics poster: Students use Makey Makey’s and the programing application Scratch to make an interactive poster. Students create buttons on the poster that, when touched, play a recording of them detailing the Mathematic content. Box design task: As apprentice cabinet makers students are tasked with the real-life challenge of modifying the current, and basic, box design sold by their boss’s business. Students are given a design brief to follow so they can design and build a more appropriate box. 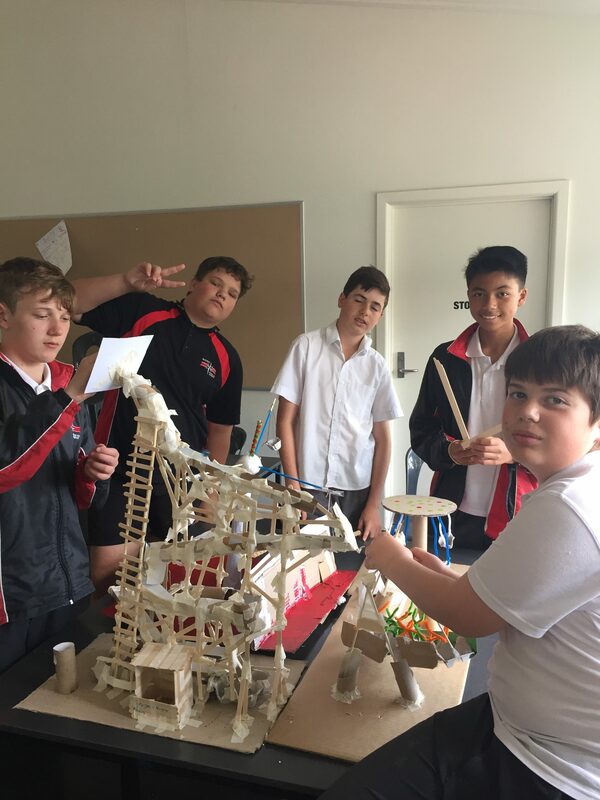 Theme park rides: As a cohort, the year 8 classes design and build a model Theme Park. Students choose which ride they would like to build and then test them for safety using eggs as human analogues. Implementing STEM in the classroom takes a whole team to make learning engaging and relevant to students. 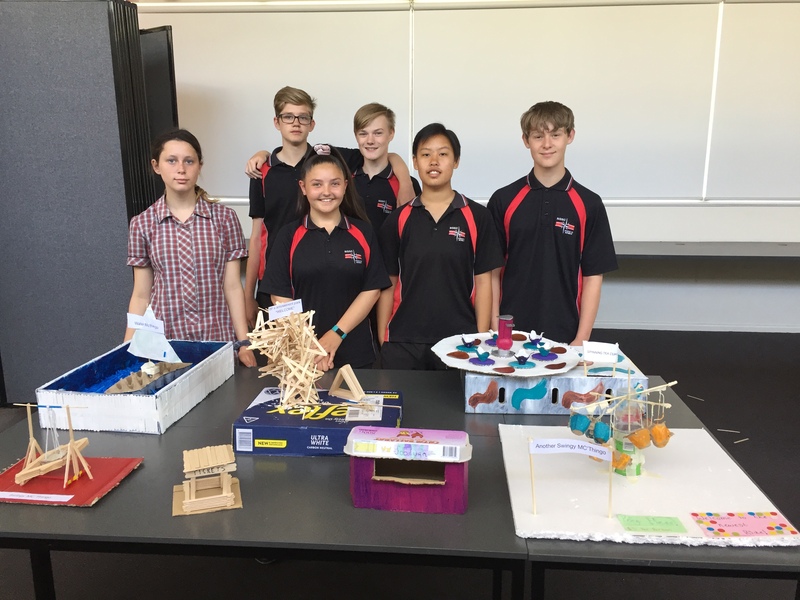 Thanks to the 2018 Year 8 teaching team for their hard work in designing, implementing and reflecting on the STEM units. 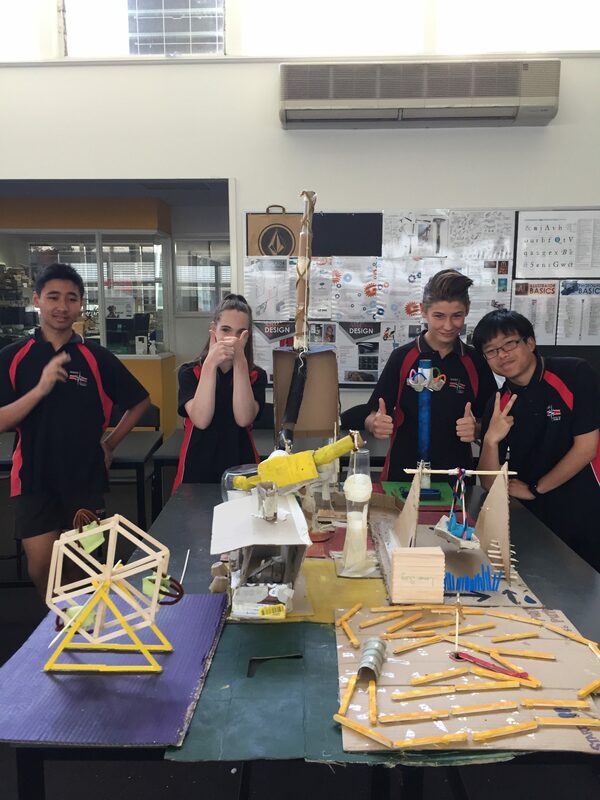 There are two STEM based elective subjects students are able to choose in Year 9 and 10. 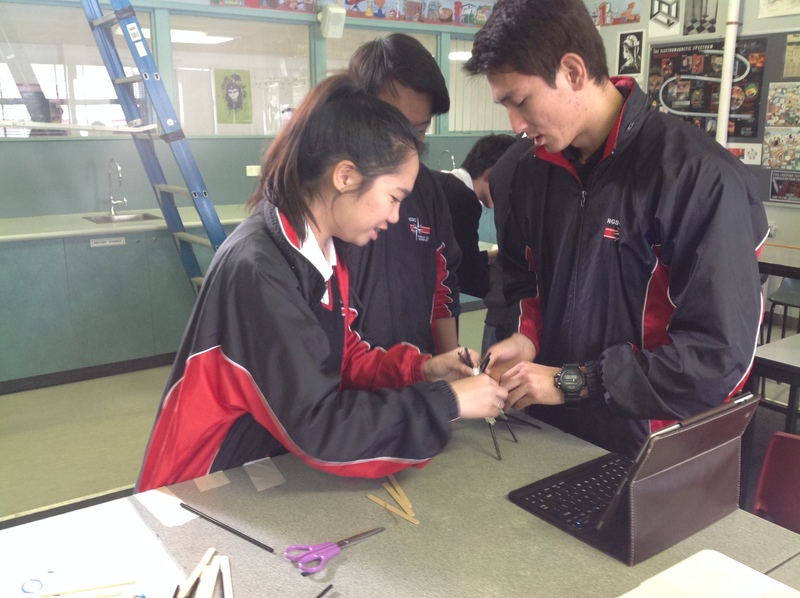 STEM: This subject has a focus on the engineering aspects of STEM. Students work through various real-life tasks in which they have to logically work through problems to find solutions. 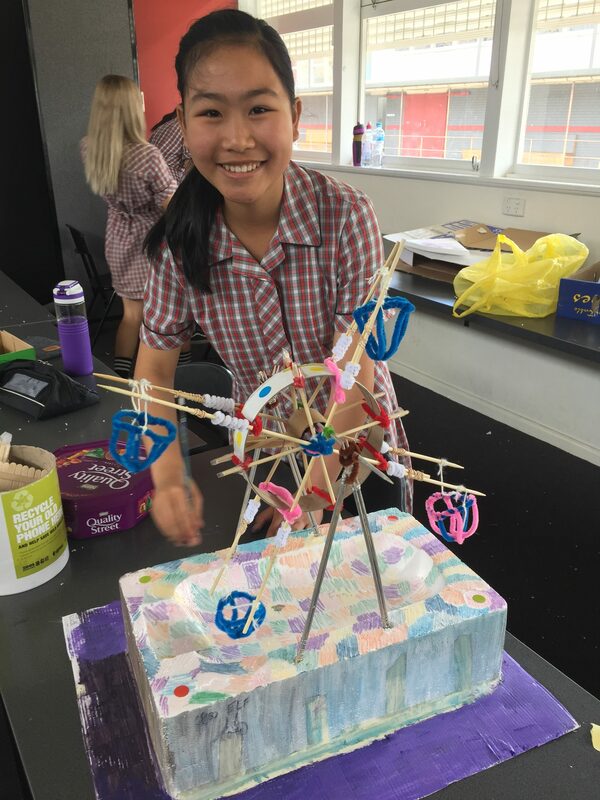 The tasks often allow students to design and build models as well as requiring them to collect and analyse data. 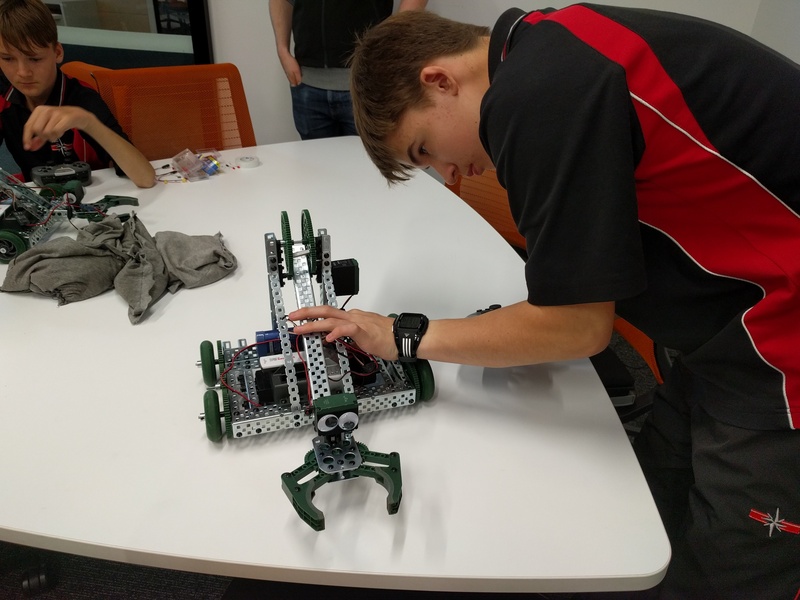 Robotics: This subject has a focus on the programing and technology aspects of STEM. Students build and program robots to complete set tasks. Students are required to work through problems as they arise just like they would have to in a real life situation. 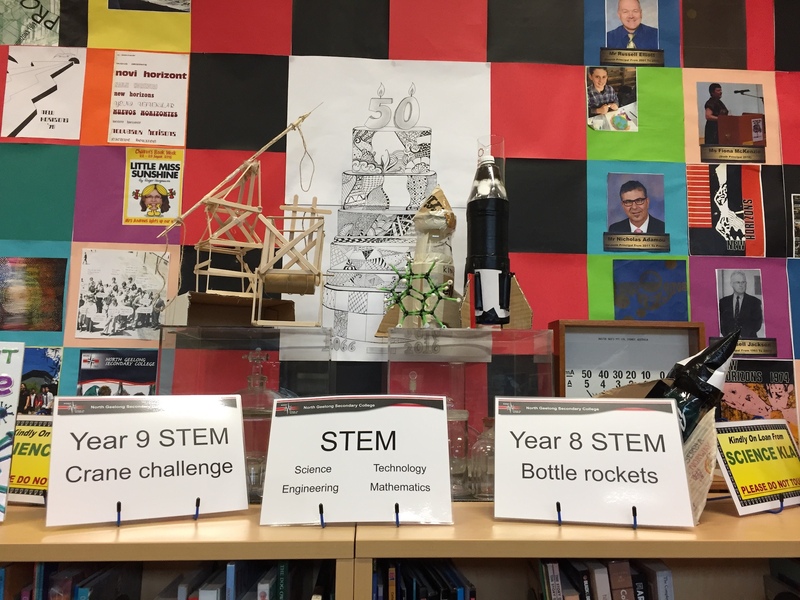 Below are just some of the STEM resources that North Geelong has to engage students in STEM education. We are constantly updating our resources as new technology becomes available. 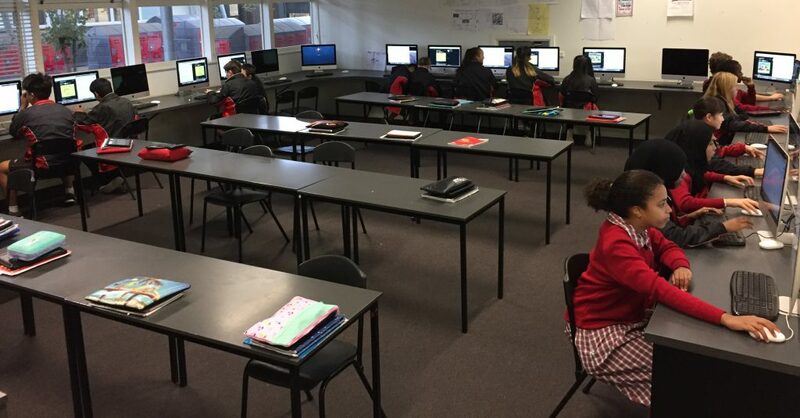 STEM room: North Geelong has a dedicated STEM room with easy access to technology. This allows classes to integrate technology in a meaningful way. It also gives students a sense of ownership as student work can be displayed. Sphero’s: The Sphero’s are used across the college. 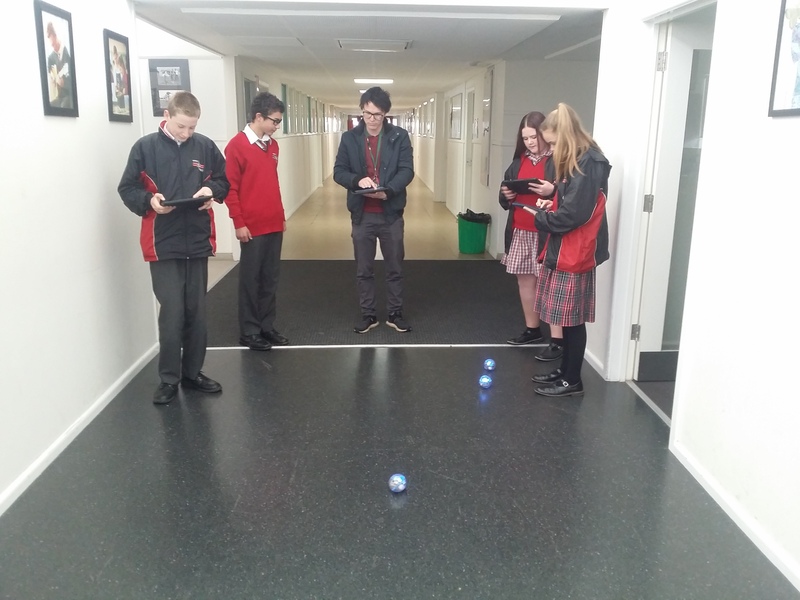 There is a dedicated unit in year 7 where students program the Sphero’s to navigate a maze. NOA robot: These cutting edge robots are used to teach programming. Drones: Drones are a fast growing area in STEM related careers. 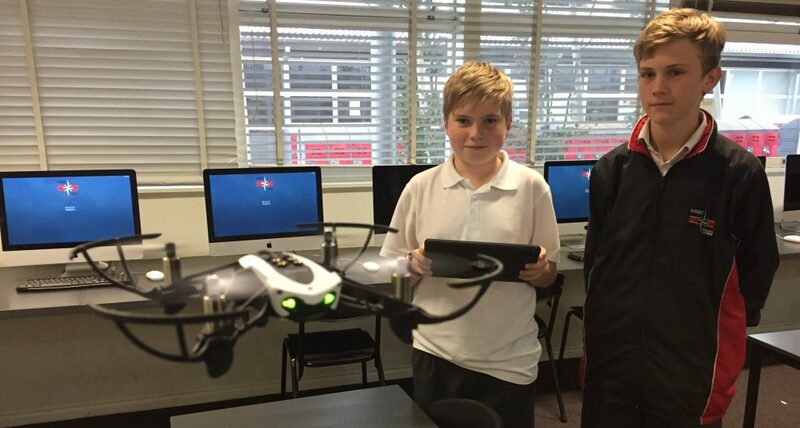 North Geelong uses several drones to teach students real life skills like navigation and coordinates. LEGO Mindstorms: These LEGO kits can be used to make numerous and varied robots that can be programmed to solve real world problems. 3D printer: 3D printing is fast becoming useful in a wide variety of STEM careers. What are the students saying about STEM at NGSC? What do you like about doing STEM activities? How are STEM activities different from other work you do at school? It’s different because you don’t just sit there and do questions or copy stuff from the board, learning more things that I never knew. The dedicated STEM Coordinators have been working with many of the teaching teams to implement STEM projects across the college. We have also been working behind the senses to develop curriculum documentation to ensure the longevity of the STEM program. Specific rubrics have been developed to assess the STEM skills as well as reflection tools that can be implemented across the college. We welcome any feedback you may have on STEM at NGSC.